Robson Valley Outfitters was formerly known as Rocky Mountain Guide Outfitters. This is by far one of the Best Grizzly Bear areas in Canada. Our area has it all. Long Growing Season, an Abundant Berry Crop as well as Spawning Salmon. This combination, in addition to a very strict Quota, offers our Hunters a fantastic Trophy Opportunity. Boone and Crockett as well as Pope and Young Record Book Trophies are harvested here annually. Grizzly Bears reside in rough terrain and as such Hunters should expect to do some leg work in order to harvest a mature bear. 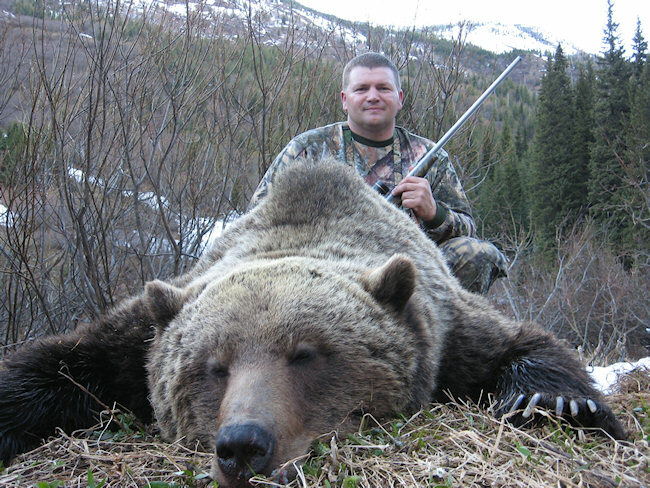 Grizzly Bear hunting is one of the most exciting hunts North America has to offer. 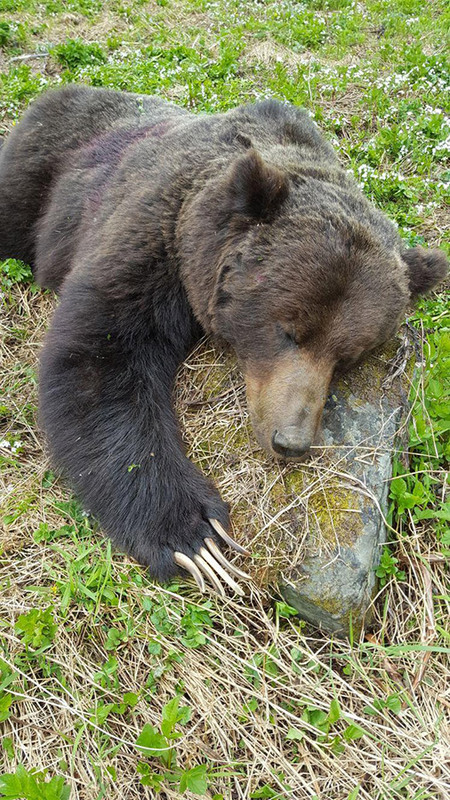 Clients have taken many Grizzly Bears which square over 8 feet. The Grizzlies in this area are true Mountain Grizzlies and vary in color from a light blonde to dark chocolate or nearly black with silver or blond frosting. All hunting areas have been pre-scouted to help ensure a successful hunt! 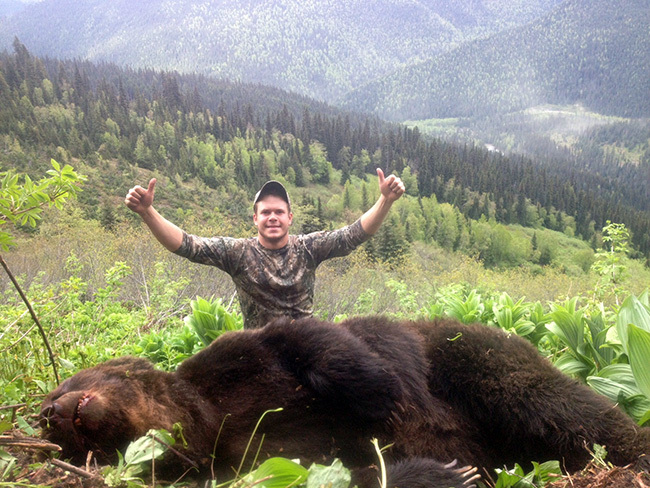 Our Grizzly hunts run 12 days. You and your guide will hunt by Spot and Stalk via ATV or Jetboat. Patience is indeed a virtue when it comes to taking Trophy Grizzlies. Grizzlies reside on rugged mountainous terrain and avalanche chutes. Depending on your desires and abilities your guide will take you to a Choice pre-scouted area. 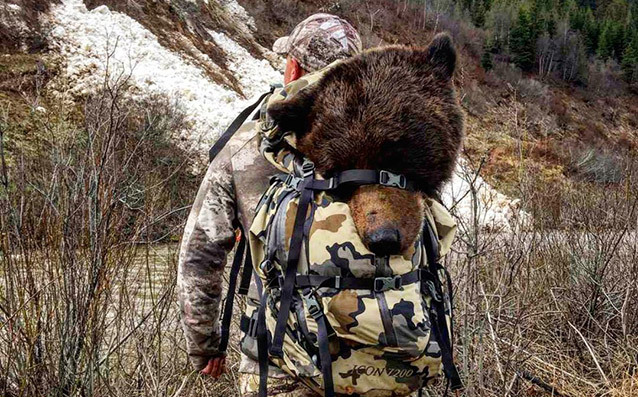 From there, your guide will do whatever it takes to find your Trophy Grizzly. A good pair of optics is essential as you will be glassing for Bear a great deal of time. 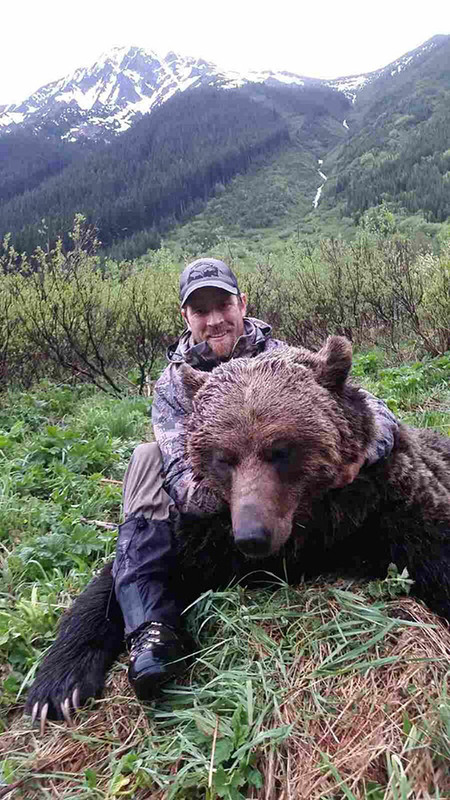 Finding Grizzly Bears takes patience, experience, and expertise. Once you have hunted with Robson Valley Outfitters we are certain you will agree we have what it takes. 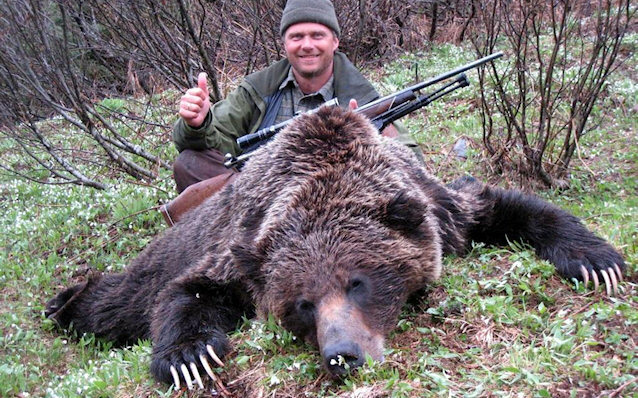 Bear hunts are best when done from remote camps. Our camps are comfortable. We have heated log cabins, fully equipped wall tent camps, or spike camps if necessary. Great meals are prepared and served by our guides and cooks.